Need to sell an inherited house in the Bay Area? Many property owners quickly learn that they’re almost better off to price slightly lower for a faster sale… they might get less for the house but they also pay less on repairs, carrying costs, effort, and time, so it’s ultimately a trade-off that might turn out to be a total wash. Bay Area agents (the good ones) know that the best strategy is to price low and try to create a bidding war. If any agents says otherwise, please run! Be honest with yourself about what condition the house is in. Compare it to other houses on the market that are close by, and similar in condition, size, bed/bath count and square footage. It doesn’t have to be exact, just note how other properties are discounted. 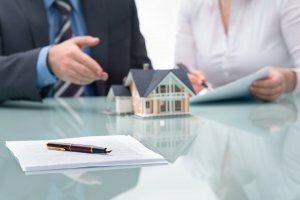 Follows those tips and you should be able to sell the house without issue. If you choose to skip the headache, we can help. Why not bypass all the work and cost of selling through an agent and instead get in touch with us today about selling your inherited property to us here at Skye Homes? Just call us at 877-210-6460 or click here and enter your information in the form.